BEARS & DARI Welcome the New NLI SKYWARN Net! | BEARS Welcomes You! The Broadcast Employees Amateur Radio Society, Inc. is pleased and privileged to welcome the New York – Long Island SKYWARN net to the Disney Amateur Radio Interconnect! The weekly net, run by John Hale/KD2LPM and Matt Berman/K9NYS, will launch on Sunday, June 3rd, 2018 at 7:00 pm and will repeat every Sunday at the same time on the W2ABC/147.27 repeater, and will be carried on all DARI machines, subject to local operator preferences. John and Matt also tell us that NWS Skywarn Activation Nets will take place on our repeater system when weather emergencies warrant – a testament to the reliable wide coverage our repeaters provide across the tri-state. For many years, BEARS has been lobbying the National Weather Service office in Upton, LI for a SKYWARN net on our system — and we’re overjoyed that at long last, it has come to fruition. 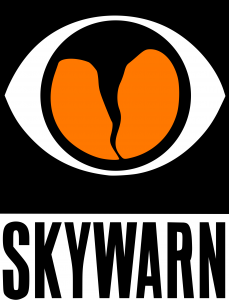 The start of the SKYWARN net surely is timely, coming at the start of a 2018 Atlantic hurricane season that could be as active or even more active than last year’s. Nets like this afford a terrific opportunity for you to validate the condition of your amateur radio equipment, and keep up your proficiency as a SKYWARN spotter.